Since we moved into The Barn last Spring I’ve been itching to redesign our daughter’s room. It’s in the eaves and although it’s a good size, it’s a tricky shape and I’m thinking that a fun mural on the end wall might be a good way to create a theme that can run through the rest of the room. So I’m delighted today on Q&A with… to welcome Rachel Williams from Rachie B Designs for a chat about what drives and inspires her and to share her favourite picks from her bespoke wallpaper collection. 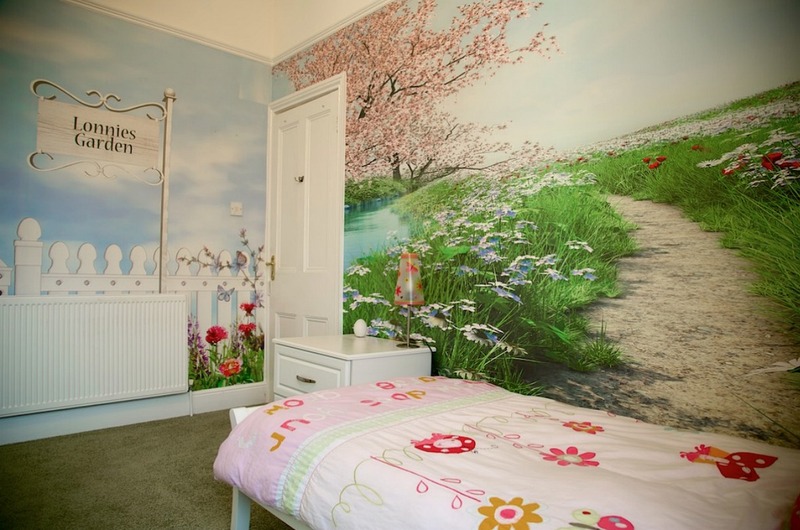 Rachel creates stunning wallpaper, flooring, soft furnishings and even glass and wardrobe prints that enable you to transform a child’s or teenager’s room into a magical wonderland. And I’ve teamed up with Rachel for an *exclusive* giveaway just for The Essex Barn readers to WIN £150 worth of bespoke wallpaper! What led you to set up Rachel B Designs? I originally started up Rachie B after being frustrated at the lack of choice of wallpapers for my 4 daughters. My youngest daughter, Lonie, wanted a garden in her bedroom. However, everything I liked was in America and the postage and packaging was extremely expensive. I was determined to create a bedroom which she herself had dreamt of. I felt it was important to help her own imagination and create a room that was just for her. Thats when I started designing my own images and sourcing local specialist print suppliers and Rachie B just grew from there. Which of your products is your favourite right now and why? 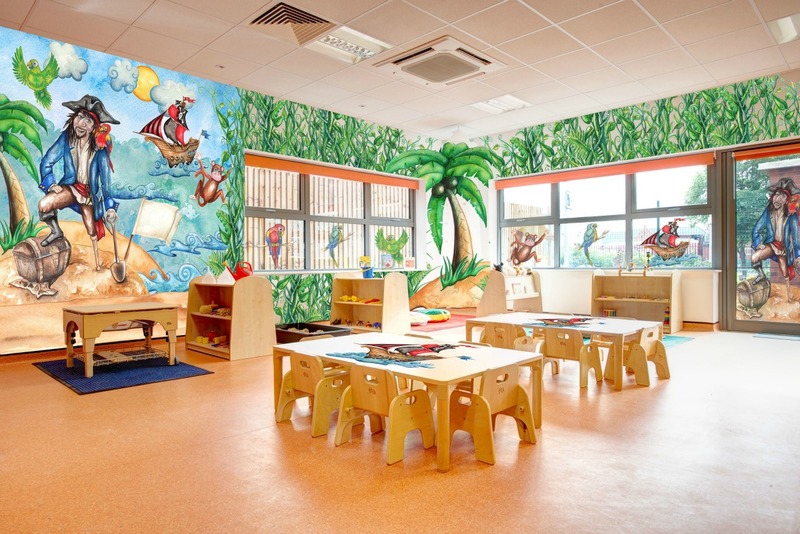 The difference with Rachie B is that the image can be bespoke and printed to the particular size of the wall, and also you can have some unique personalisation to your own tastes. 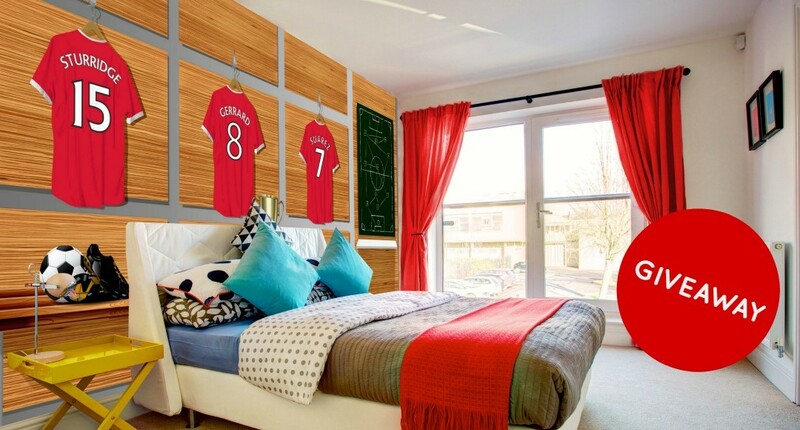 If you support a particular Rugby or Football team then you can choose your own strip and names for your “Dream Team” ….. how many kids can have fantasy football in their own room? I’m also really proud to release my brand new Streetsign Mural that you can personalise with places that have a special meaning to you… it’s ideal for teenagers bedrooms. A typical day besides the busy bit of running a home with 4 girls and 3 dogs is, I usually go through my email and phone calls. I often go to local homes and businesses to measure up and chat about a new design and what I can create for them. At present I am working on a Eco friendly business where I am designing a showroom for them, which has educated me a lot about how poor my own insulation is! I visit the printing company about once a week and go through different available printing options from wallpaper to Diabond panels to see what best suits each customer. I then set about drawing up different illustrations or graphics and working with each customer ensuring that they are happy with the designs before it goes to print. Inspiration comes from so many different sources, from old movies, luxurious houses and hotels. One of my most favourite mural wallpapers is at Kensington Palace where there is a wonderful mural paper based on Princess Diana, with her love of clothes to her love of people. I do love Oriental themes too and the timeless illustrations from silk throughout the centuries. What is exciting you about the new season? My new design is, again, for my youngest daughter, Lonie. 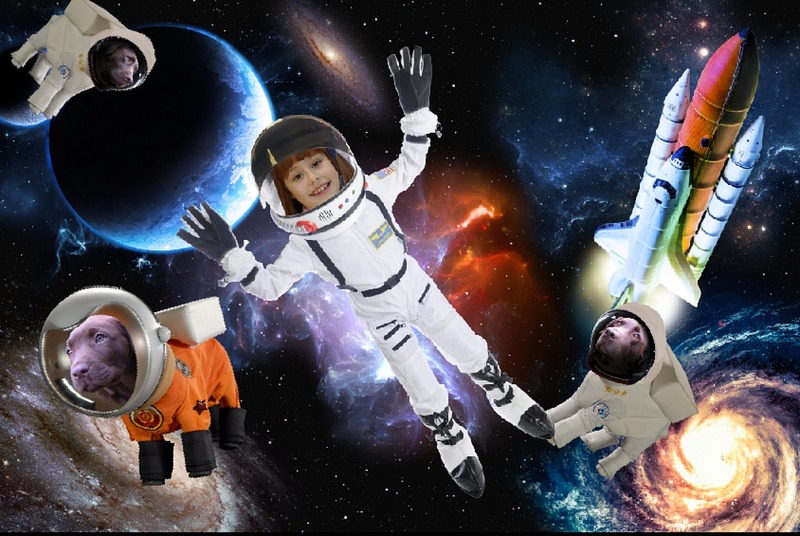 A space theme, where she is flying around in space, with wait for it ….. her three dogs in spacesuits!. That’s the beauty of my job. I can let children just be themselves. I am also designing a beach mural, with soft grey, pastel blues and reds which is calming for young babies. 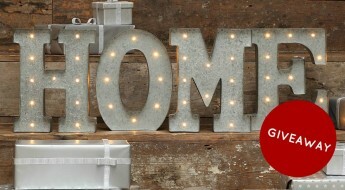 A Perfect home is ….. a place where people accept and love you, just the way you are. Thanks so much Rachel! You can see the latest Rachie B Designs on their website and follow them on Facebook and Twitter. And now… that exclusive giveaway! 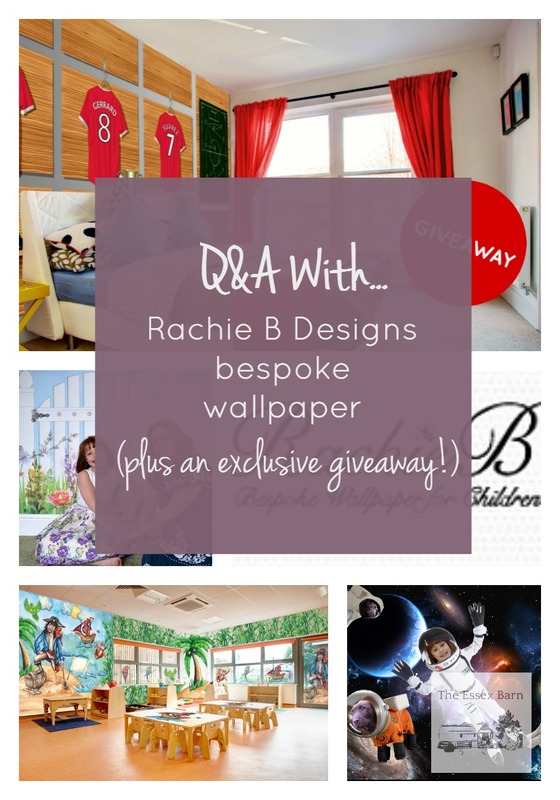 One lucky winner will receive £150 worth of bespoke, personalised wallpaper from the Rachie B Designs collection and will be free to add to that amount to create a bigger design if they want to. To enter just use the Rafflecopter widget below and answer the question – this is the ONLY mandatory task. You can gain extra entries by completing the other tasks and don’t forget to read the terms and conditions that you’re accepting by entering. The closing date for entries is Friday 12th February 2016 at midnight. Want to share this giveaway with your friends? Here’s a pinnable/shareable image just for you. http://rachieb.co.uk/rachieb-wallpapers/princess-bespoke-wallpaper/ would love this princess wallpaper for my little girls bedroom who is obsessed with princesses! Pirate Bespoke Wallpaper is my favourite. 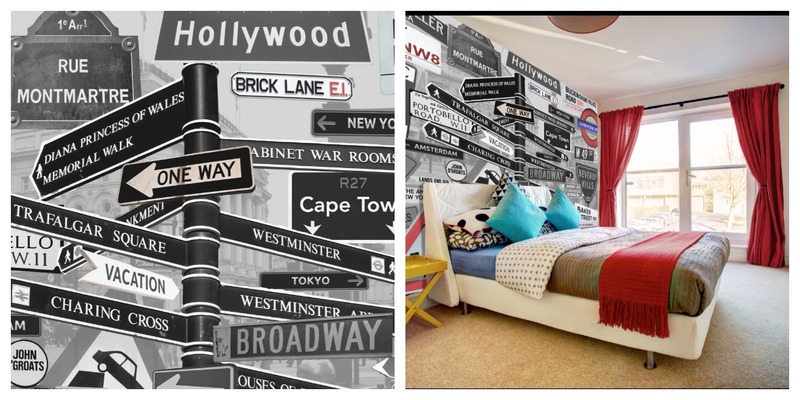 The Superheroes bespoke Wallpaper would be fantastic! 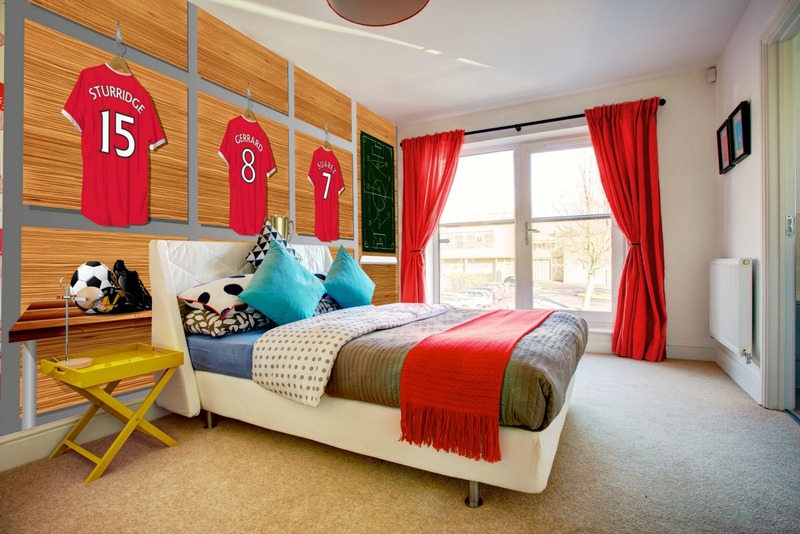 I love the Superheroes Bespoke Wallpaper – perfect for showing off my kids super powers! I love the garden wallpaper!